Philanthropy is more than check writing. It is an opportunity to leverage private sector dollars for social good. Many of our grantees reflect the diversity of our board’s interest and passions, but the spectrum of investment reflects on the extraordinary talent we have in our nation’s capital. We are not able to solve any one social issue or challenge, but through calculated risks, social investments, patience, listening and chronic learning, we hope to make thoughtful decisions on who to fund. We look forward to being active partners with our grantees and continue to improve on our grant making. For over 37 years, Martha’s Table has worked to support stronger children, stronger families, and stronger communities by increasing access to quality education programs, healthy food, and family supports. Every child deserves the opportunity for their brightest future, and a deeply engaged family and community committed to their success. Meridian International Center is a premier nonprofit, global leadership organization headquartered in Washington, DC. Building on more than 55 years of experience, Meridian prepares U.S. and international leaders to meet global challenges and opportunities. Meridian’s programs delivers the approach and environment for leaders to understand global issues and cultures, exchange ideas, collaborate on solutions, and build valuable relationships. The National Archives Foundation is an independent nonprofit that increases public awareness of the National Archives, inspires a deeper appreciation of our country’s heritage, and encourages citizen engagement in our democracy. As the National Archives’ nonprofit partner, the Foundation generates financial and creative support for National Archives exhibitions, public programs, and educational initiatives, introducing America’s records to people around the U.S. and the world. The National Mall is one of the most iconic and meaningful places in the world and a reminder of America’s complex and storied history. The Trust for the National Mall stewards private support to design and deliver modern and resilient solutions that will transform the visitor experience and preserve the historic legacy of the National Mall. Founded in 1996, CityDance is a 501(c)3 non-profit organization recognized as an arts and education leader throughout the DC metropolitan area. With its mission to transform lives and communities through dance, CityDance produces and presents world-class dance; trains young dancers for professional careers; and uses dance to prepare youth for academic, professional, and personal success. Halcyon evolved from S&R Foundation, a nonprofit organization that supports talented individuals with great potential and high aspirations in science, art and social entrepreneurship. Arising from the Foundation’s success and recognizing unique opportunities to advance the missions of different types of fellows, Halcyon began operating independently as a public 501(c)(3) organization in 2017. At the intersection of art and social impact, the nine-month Halcyon Arts fellowship supports emerging artists with bold ideas of how art and creativity can be forces for social impact. Now entering its fifth decade, the Hirshhorn Museum is a leading voice for contemporary art and culture and provides a national platform for the art and artists of our time. Located in the heart of Washington, DC, on the National Mall, the Hirshorn Museum is free to all, and open 364 days a year. As one of the most visited modern art museums in the U.S., the museum shares the transformative power of modern and contemporary art by creating meaningful, personal experiences in which art, artists, audiences and ideas converge. Through groundbreaking exhibitions, events, research and acquisitions, the Hirshorn Museum creates the space where people encounter the most important artists of the 21st century. The National Museum of Women in the Arts (NMWA) is the only major museum in the world solely dedicated to championing women through the arts. With its collections, exhibitions, programs, and online content, the museum seeks to inspire dynamic exchanges about art and ideas. NMWA advocates for better representation of women artists and serves as a vital center for thought leadership, community engagement, and social change. NMWA addresses the gender imbalance in the presentation of art by bringing to light important women artists of the past while promoting great women artists working today. Officially opened in October 2005, The Town Hall Education Arts Recreation Campus (THEARC) is a $27 million, 110,000 square-foot campus located east of the Anacostia River in Washington, DC’s Ward 8. THEARC was built and is operated by Building Bridges Across the River (BBAR) a nonprofit 501-c-3 organization. Funding for building THEARC ($27 million) came entirely from charitable contributions by the Federal and District government, corporations, foundations and individuals. THEARC is a key part of a revitalization of the area known as East of the (Anacostia) River in Washington, DC. THEARC is a home away from home for the many underserved children and adults of East of the River, enabling them to participate in dance classes, music instruction, fine arts, academics, continuing education, mentoring, tutoring, recreation, medical and dental care, and other services at a substantially reduced cost or no cost at all. Turnaround Arts is a program of the John F. Kennedy Center for the Performing Arts and the President’s Committee on the Arts and the Humanities in partnership with the U.S. Department of Education, the National Endowment for the Arts, local partners and several private foundations. It is based on the premise that high-quality and integrated arts education can strengthen school reform efforts, boost academic achievement, and increase student engagement in schools facing some of the toughest educational challenges in the country. The Phillips Collection’s new campus at Town Hall Education Arts Recreation Campus (THEARC) provides arts-infused services promoting wellness to deepen the museum’s commitment to the community in Southeast Washington, DC. 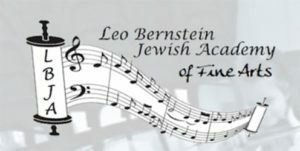 The Leo Bernstein Jewish Academy of Fine Arts, now in its sixth year, is an innovative Jewish Day School in Silver Spring. LBJA is a STEAM school with focus on Science, Technology, Engineering, Art, Music and Math in a small class environment. LBJA is responsive to every child’s needs. Sixth & I celebrates intersections—the unexpected places where Jewish and secular culture meet. Completed in 1908, the Sixth & I building—located on the corner of 6th and I streets in downtown Washington, DC—has undergone numerous transformations. Since 2004, Sixth & I, through its openness and pluralistic approach, has redefined the 21st-century synagogue and community space with impactful, entertaining, and thought-provoking programs spanning Jewish and cultural traditions. Timely and provocative events with authors, musicians, politicians, comedians, filmmakers, journalists, actors, chefs, and other visionaries allow the community to plug in to what’s happening at the forefront of arts and culture. At Sixth & I, what it means to be Jewish is up to you. With a multi-denominational and non-membership approach, identity and community intersect on your terms for a uniquely Jewish experience. For over a decade, Mesorah DC has been bringing Jewish spirit to our nation’s capital, enhancing the Jewish experience of young professionals each year . Mesorah DC programs provide educational and social opportunities for Jewish professionals in their 20’s and 30’s.Jewish people of all backgrounds and affiliations feel comfortable and welcome to come meet new people at our events; as well as to explore how Jewish tradition interfaces with the 21st century. 2239’s Metro Minyan has reshaped D.C.’s Shabbat scene for Jewish 20s and 30s and made Shabbat accessible for young Jewish professionals living and working in Washington, D.C. Once each month Rabbi Miller and Rabbi Skloot go to where the young Jews are—near the Metro—at a rotating list of locations. The services draw between 150-250+ young Jewish adults every month. The evening begins with “A Shot of Torah”—an opportunity to study the weekly Torah portion and dive into some serious (and not so serious) Jewish discussion. The service itself is engaging, guitar-led, and “come as you are.” Participants dine together at a Shabbat dinner catered by an on-trend restaurant and end the night with a social gathering at a nearby location. NCSY Connects with Jewish teens through innovative, cutting-edge social and recreational programs to develop a positive Jewish identity. NCSY Inspires Jewish teens and their connection to Israel through informal Jewish education, retreats and summer programs.